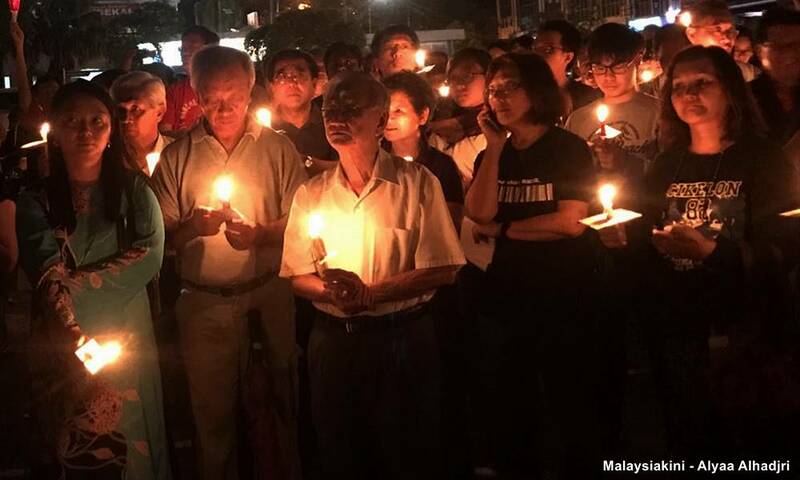 SUHAKAM INQUIRY | The investigating officer probing pastor Raymond Koh's disappearance believes there is a possibility that the "powers that be" may have been unhappy with Muslims attending candlelight vigils held for the missing pastor. Testifying before the Human Rights Commission of Malaysia (Suhakam) public inquiry into Koh's disappearance today, Supari Mohammad also agreed that news of Muslim youths being converted to other religions would upset certain quarters. Asked by one of the lawyers representing Koh's family whether he believes that there were "powers out there" who wanted to change public sentiment, Supari said that it was a possibility.